In the world of horror, there’s perhaps nothing more coveted than the approval of Stephen King, world-renowned author of anything scary and supernatural. So when you get it, you’d better hold onto it tight and wear it like a badge of honour. Hell, I’d probably even put it on my CV – top line: Stephen King approves of my work. 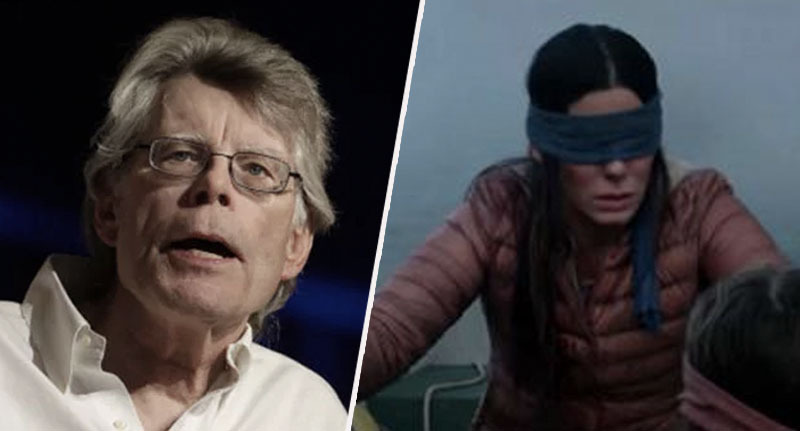 Which is exactly what the director of Bird Box, Susanne Bier, should do because the king of horror himself has said he was ‘absolutely riveted’ by the Netflix original. I mean, you can’t get much better praise than that. Susanne, if you’re reading this, I’d go and edit your CV straightaway if I were you. Anyway, I digress. In case you’ve been living under a rock, Bird Box is the post-apocalyptic thriller which has been taking the world by storm of late. The film, starring Sandra Bullock, has garnered a lot of hype online, with people deeming it the scariest film of the year – if not ever. Which is exactly why I’m staying well away from it (I’m a complete wimp). The post-apocalyptic thriller, based on the 2014 novel of the same name by Josh Malerman, follows a pregnant Malorie (Sandra Bullock), as she joins a band of survivors, along with her two young children, in an attempt to escape an unknown force which is causing mass suicide. When you lay eyes on the mysterious and dangerous force, it’ll cause you to take your own life, meaning Malorie and the children’s best hope of survival is to operate blind. Nope, nope, x 100, nope. Why anyone would choose to sit through hours of torture, with the sole intention to scare themselves silly, is beyond me. But what do I know? Apparently nothing, as the film has received constant praise from people around the globe – including the one and only Stephen King. Taking to Twitter, the renowned author made his thoughts on the film clear, deploring his followers to take any bad reviews with a pinch of salt. 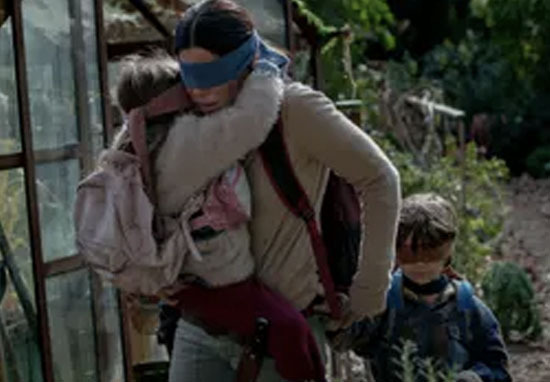 And as if that wasn’t enough, in the first seven days since its release, Bird Box has already managed to break a Netflix record. For the first time in the streaming service’s history, 45 million Netflix accounts watched the film in a week, proving people are a lot braver than I am. Which, when you think about the number of Netflix original movies there are, is pretty damn impressive. Am I really the only person who hates being scared?